I don’t mean to sound seditious here, but I have a rebellious plan to combat the ills that many corporations are perpetrating in the name of fighting grime and germs. My main gripe is about the environmental pollutants from cleaning and personal care products that we wash down our drains and into our water systems, resulting in situations like the chemical triclosan (a pesticide added to many products as an antibacterial agent) being found in dolphins. So the simple plan is to encourage everyone to use baking soda in any of these 51 applications. Besides showing kindness to aquatic life, we can also protect ourselves from the array of toxins in household cleaning products. Conventional cleansers can expose us to multiple chemicals linked to asthma, cancer and other documented health problems. 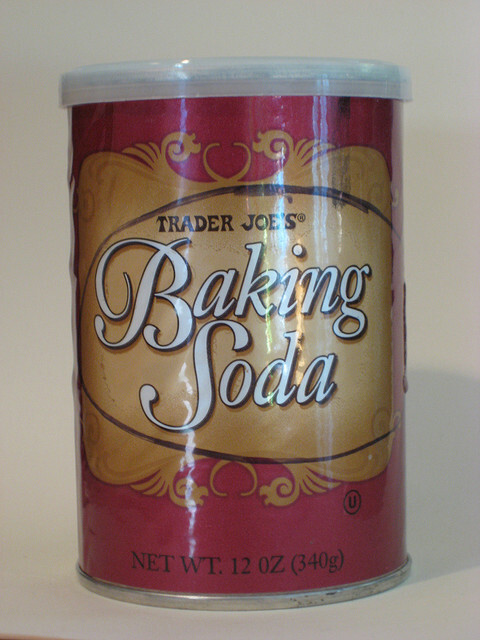 Baking soda also makes a perfect stand-in for many personal care products, which are adding their own twist to the toxic tangle of pollutants and personal health (mainly in the form of synthetic fragrance (and it’s almost all synthetic), sodium laurel sulfate, and parabens). Add 2 heaping tablespoons baking soda (along with your regular dish detergent) to the dish water to help cut grease and foods left on dishes, pots and pans. For cooked-on foods, let them soak in the baking soda and detergent with water first, then use dry baking soda on a clean damp sponge or cloth as a scratch-less scouring powder. Using a dishwasher? Try these energy saving tips. Sprinkle the cutting board with baking soda, scrub, rinse. For how to more thoroughly clean your cutting board. Place a box of baking soda on the shelf to keep the closet smelling fresh, then follow these tips to organize your closet in an eco-friendly way.